In the world of Advertising and Public Relations, ethics plays a huge role in all the decisions made. 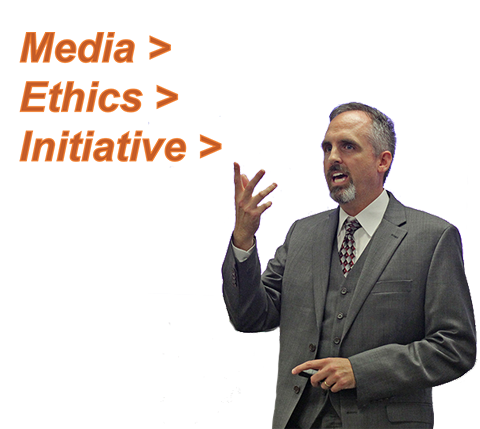 The Media Ethics Initiative started by Dr. Scott R. Stroud (Communication Studies) aims to highlight the choices, consequences, and values involved in our communicative activities. We sat down with Dr. Stroud to talk about the Media Ethics Initiative, ethics in advertising and even that controversial Pepsi ad. My inspiration occurred when I was a fellow at the Center for Study of Democratic Politics at Princeton University in 2014 – 2015, and I saw the thriving intellectual culture there at Princeton. You could get a free lunch every day of the week if you were willing to sit through a world-famous academic giving a talk, so part of what I wanted to do when I came back here was to contribute more to this type of environment at Moody and UT. I think the shortcut I would give many folks is to try to think if you were on the other side of this action, would you like it or not? Would you find it to be a reasonable action or not? It’s the failure of empathy that I think is often the issue in moral situations, so this is the simple test I would give people – try to think of the other side of your action, and maybe that will make you change it, make you explain that action better. It might change what you do or how you do it. By Scott R. Stroud in Posts on December 4, 2017 .